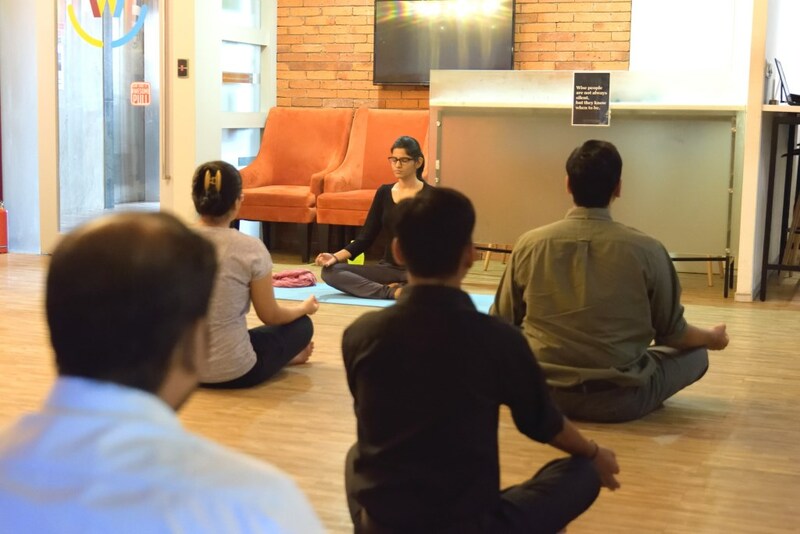 We were recently approached by the team that manages one of India’s best co-working spaces to start conducting yoga and corporate employee wellness programs for the individuals and companies that rent out spaces at the establishment. 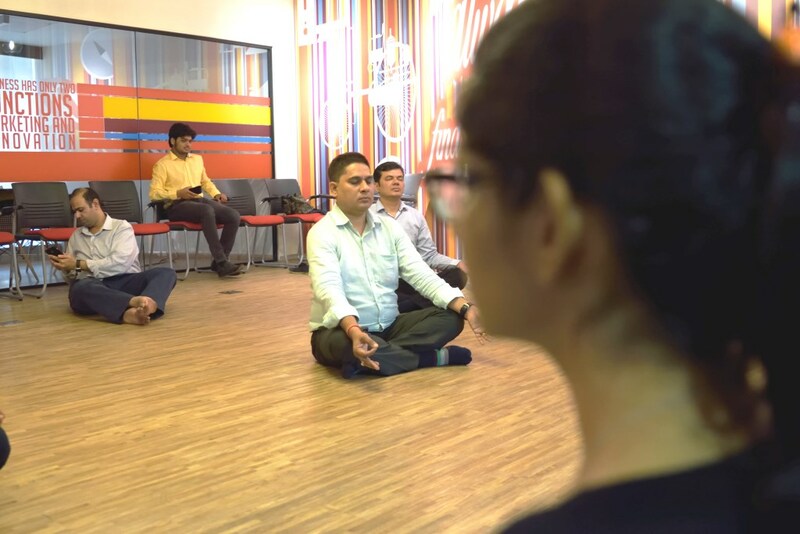 Co-working spaces are a growing trend in India where the number of entrepreneurs and self-driven individuals are increasing by the day. Companies that hire out space to these individuals and small companies benefit from constant demand while the space hirers benefit from top class interiors and infrastructure including free wi-fi and coffee, a work-friendly ambience and of course the all important factor – reduced expenses on monthly rent with no additional overheads. This last factor is crucial for cash-strapped bootstrapping start-ups especially in a city like Mumbai. 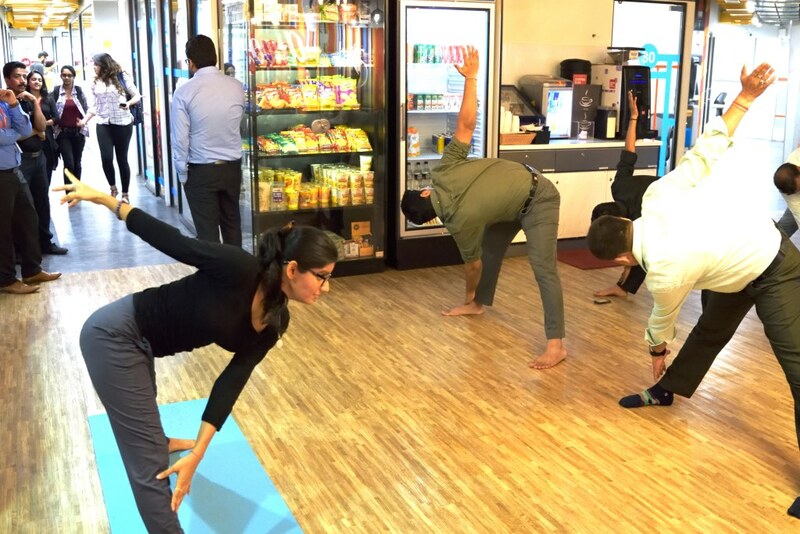 It is no wonder that the average age of most of the people who work at these co-working spaces hovers around 25. So it is only natural for them to be interested in health and fitness. 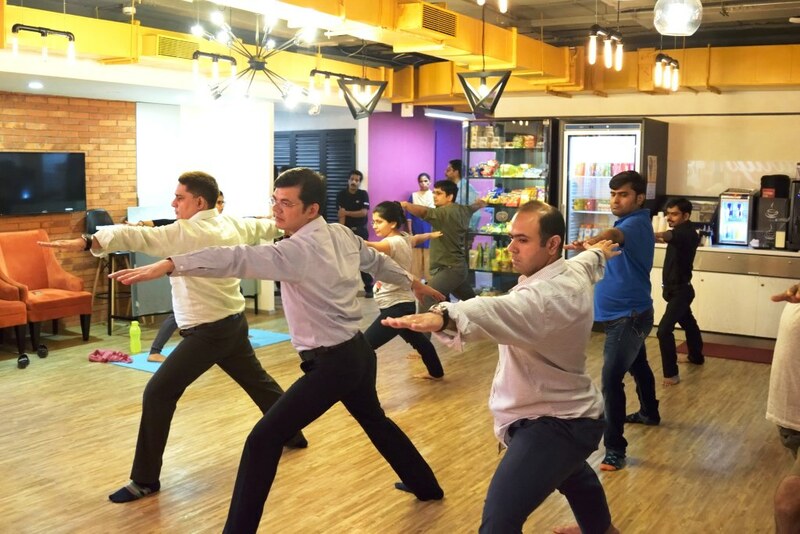 As fitness and wellness partners to some of India’s most renowned corporates and SME’s, Wellintra Fitness is the first stop for most companies who want a consolidated fitness solution for their employees. 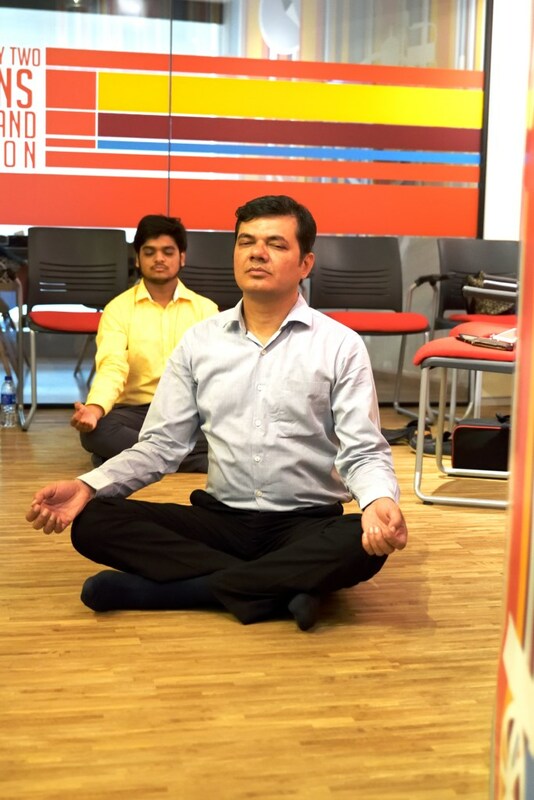 This co-working company has over a dozen branches spread out over Mumbai, Delhi, Pune and Bangalore and growing. 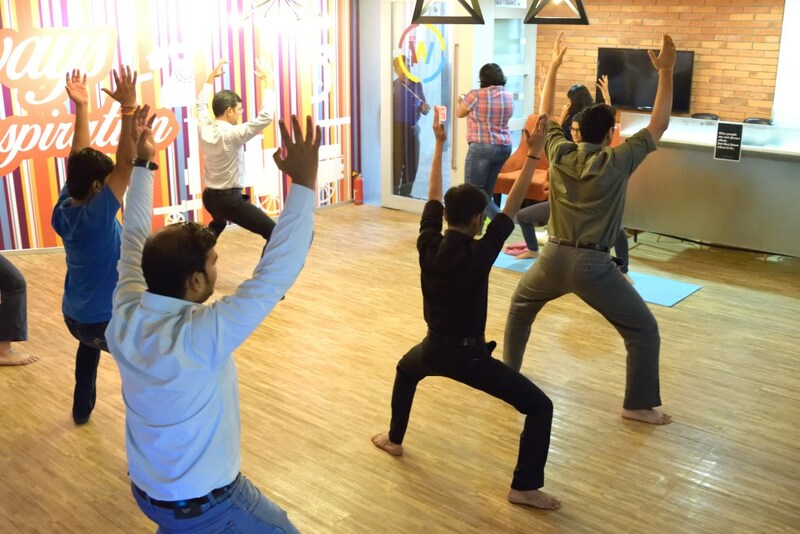 Starting with the Mumbai office, the brief was to effectively deploy at least 6 high quality, certified and motivated yoga and fitness trainers who will conduct regular yoga, pilates and fitness bootcamps. 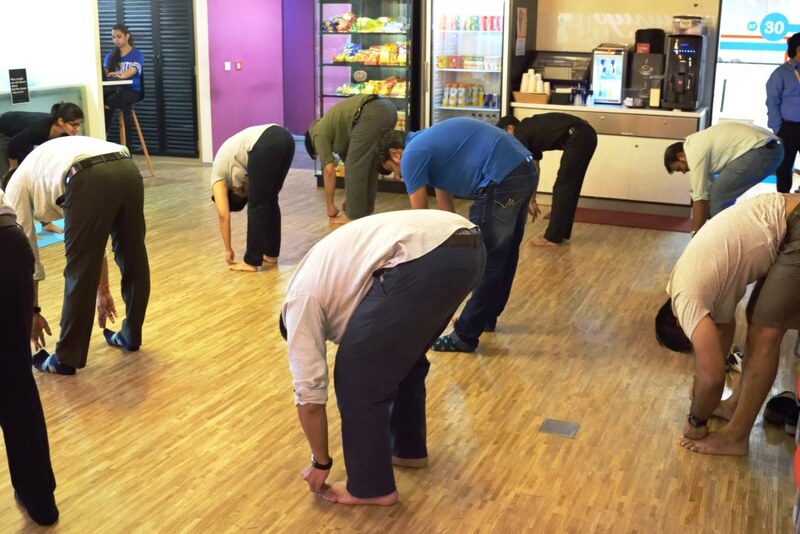 With a large pool of young, motivated and highly qualified fitness trainers with excellent communication skills, Wellintra Fitness can easily create a complex fitness plan for any company that requires multiple fitness professionals to conduct workshops and classes for their employees. 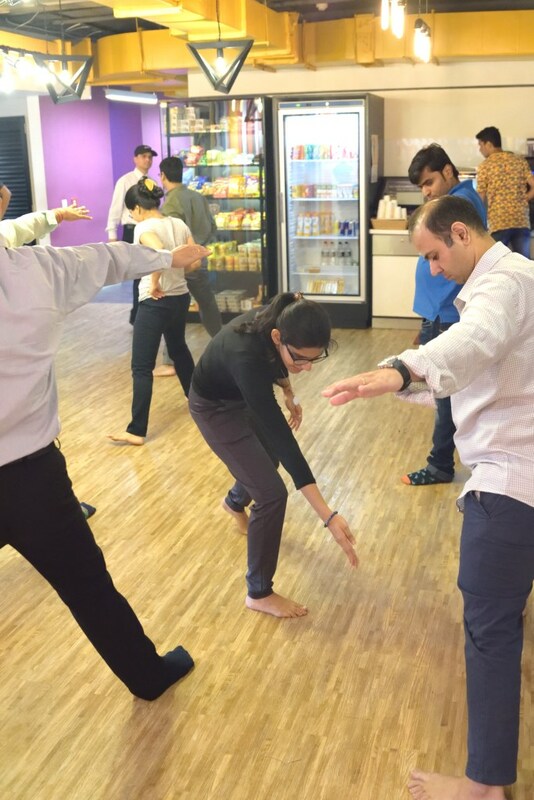 The Warrior Pose For Corporate Warriors! The Contentment Says it All!